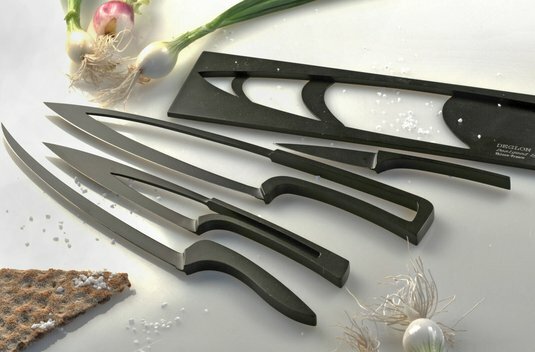 Now...we're huge fans of the wall mounted magnetic knife rack, as we are partial to displaying our culinary weapons. The way we look at it, we didn't buy a couple of Global knives and some genuine Japanese sushi chef knives to not show them off. 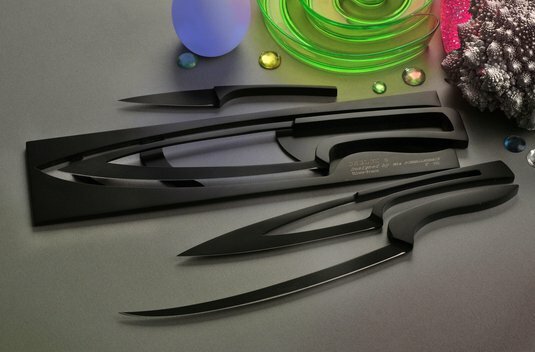 Having seen the above however, and we are now rethinking our knife storage options. The term "knife block" in this case is more literal than what we would traditionally think. Rather than speaking to the separate "block" that one would store their knives in, the block in this title is referring to a single block of steel, which is where these unbelievably beautiful knives are born. 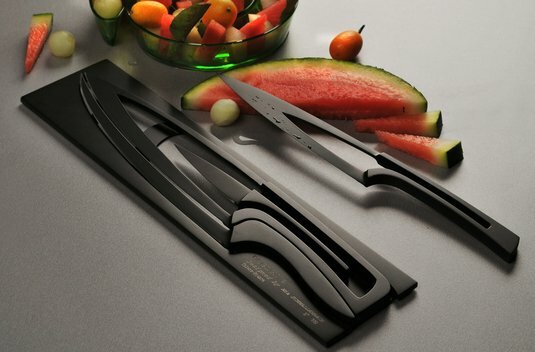 The ergonomic design of the meeting knives was inspired by the Fibonacci Sequence, using the width of the average hand as the starting point. Having patterns in nature, this proportional mathematical formula is used widely in architecture and other fields. We are showing the Teflon coated variety, which due to the coating are a lovely shade of black, but they are also available in plain stainless....the latter currently on sale through Amazon. 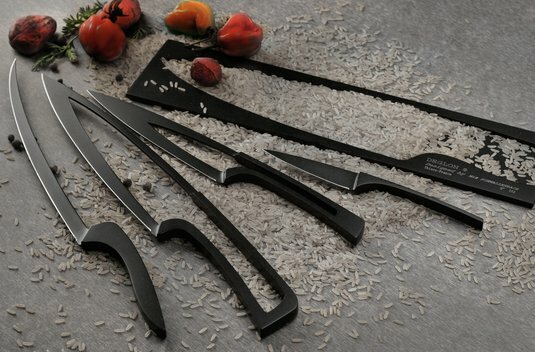 However, before you get all lusty for them and run off to get yourself a set, the sale price is nearly $750, and that's for the plain stainless. More pics after the jump.